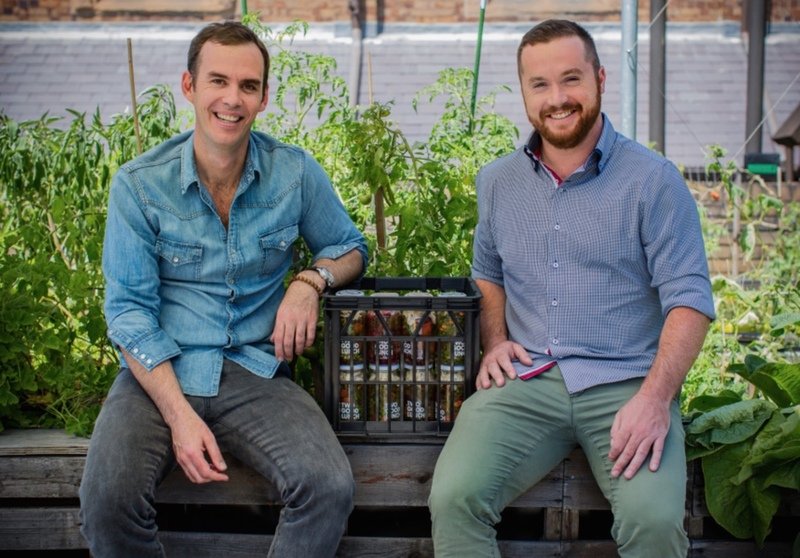 Co-founders of Two Good, Rob Caslick and Cathal Flaherty started the Inside Out Organic Soup Kitchen (IOOSK) at St Canice’s Church in Rushcutters Bay six years ago, which now has expanded into Two Good, We Are Table, Young Parents Cooking School, Grow Horticultural Therapy and Table Talks. All initiatives focus on giving back to the homeless and victims and survivors of domestic violence. The Two Good initiative is built on simple business model, you buy one and you treat one. For every meal purchased the same meal is given to someone in need, a simple gesture making a huge difference to hundreds of victims. On average Two Good delivers 200 meals a week across 8 refuges and 2 soup kitchens in Sydney which Caslick hopes will expand to every refuge across the country by the end of next year. Last week SBS aired a 5 minute video about the Two Good initiative. For many of us domestic violence seems like a big problem, too hard to do anything meaningful about, but Two Good is setting out to change all that. Davenport Campbell are extremely proud to be a part of the Two Good initiative and would like to invite you to watch the video. To get involved and to find out more please visit Two Good website or the We Are Table Facebook page.